Sport mega-events such as the FIFA World Cup draw millions of enthusiastic viewers around the world as well as hordes of politicians, oligarchs, celebrities and other powerful individuals. They converge on the venues, ostensibly to watch the beautiful game played at its highest level, but also to talk to one another, to strike deals and to see and be seen. But soccer’s crowning moment is only the tip of the iceberg of a complex world of desires, hopes and global inequalities. Millions of boys and young men in impoverished regions of the world dream of sporting success, which they see as the only way to escape misery and lift families, neighbourhoods and villages out of economic desperation. In 2012–17, I directed a large-scale comparative ethnographic project called GLOBALSPORT on the effects that sporting aspirations have on the lives of people in various regions of the Global South. We conducted extended fieldwork among young men and their families in various parts of the world to understand how in recent decades the world of sport has transformed their lives and hopes for the future. Aspiring to break into the global sport industries is a relatively new phenomenon. Prior to that, sport was for most people around the world a pastime, albeit one that mobilised passions; as a career choice, it was only one of multiple other life-course possibilities that relatively few people chose to follow. But the 1980s set the stage for several transformations of global reach, which gave sport a visibility that it had not previously enjoyed. One was the dramatic increase in the money floating around world sports, resulting from the privatisation of television channels in many countries, which in turn increased the price that television channels were willing to pay for broadcasting rights. Another was the transformation of many clubs and teams into corporations involved in a cutthroat competition for players, television coverage and financial backing, encouraging scouts to look further and further afield for “raw talent”. Yet another was the emergence of satellite television, which for the first time brought images of sporting glory and economic success to the remotest corners of the world. Fed on these images, young men living in economically precarious countries of the Global South invest their hopes for the future in dreams of sporting success. But these dreams can only be fulfilled by migrating to the Global North, as sport clubs in poor countries are unable to reward their players sufficiently to meet basic needs for them and their families. In any case, local sports are unable to compete with the glamour of the Global North, whose games people watch, for a nominal fee, on satellite television sets in bars and video clubs in the villages and cities of the Global South. 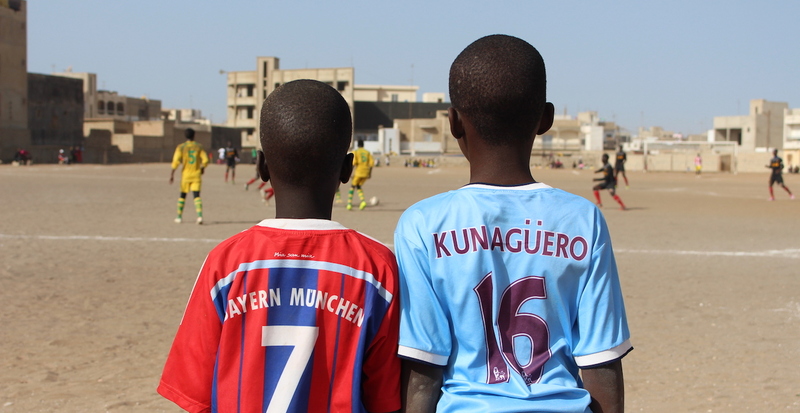 In countries like Senegal and Cameroon, where PhD students Mark Hann and Uroš Kovač conducted a year of fieldwork respectively, young men flock to soccer academies in the hope that they will be the lucky ones and attract the attention of a recruiter for a team in the wealthy centres of the sport, such as England, France and Italy, despite the very slim possibility of this happening. In reality, many will continue to play at home, their hopes fading as they become too old for recruitment. Some accept contracts to play on the margins of the world sport, such as Poland, Slovenia or Cambodia, where they end up in precarious life circumstances, playing for lower-division teams at best or eking out a living in menial jobs while clinging to rapidly fading hopes of playing professionally. Yet others throw themselves on desperate migratory ventures that often end in tragedy. In Fiji, where postdoctoral fellow Daniel Guinness and I conducted fieldwork, young men in remote villages participate doggedly in rugby training every afternoon, although they cannot afford the bus fare to participate in regional tournaments where they might demonstrate their talents to potential recruiters. Those who are lucky enough to have grown up in less remote locations sometimes accept offers to play in Australia or New Zealand for no remuneration and with no contractual guarantee, in deals that are sometimes disguised as seasonal migrant worker contracts. Sometimes young players turn to Pentecostalism and other charismatic belief systems that provide a scriptural logic to the cruel optimism to which they cling. Sporting dreams in the Global South have emerged in the context of broad socio-economic transformations in the last few decades. Since the 1980s, many countries have experienced significant economic downturns. The neoliberalisation of world trade has had the effect of rendering small-scale agricultural production unviable. To cope with the economic collapse caused by the extreme fluctuations in commodity prices, postcolonial states have borrowed from the World Bank, the International Monetary Fund and donor countries. But loans have come with conditions of austerity measures, such as the reduction of the civil service, which in many countries was formerly the primary source of waged work. Education no longer guarantees employment, and young men find enrolling in soccer academies to be a safer route than traditional schooling. Yet these life decisions preclude other possibilities, however precarious these might be. The FIFA World Cup is a spectacular ritual display of sporting talent, passionate emotion, professional success and national pride on a global scale. But it is also interconnected with the hopes of young men and their families for a better future and the economic precariousness of many countries around the world. It is connected to the redefinition of the future as being located elsewhere, an elsewhere that is often cruelly out of reach. The politics of sport in the contemporary moment illustrates how the minute details of people’s everyday existence are fundamentally intertwined with the glamour of sport mega-events. Niko Besnier is Professor of Cultural Anthropology at the University of Amsterdam and Research Professor at La Trobe University. In 2012–17, he directed the project entitled “Globalization, Sport and the Precarity of Masculinity” (GLOBALSPORT) funded by the European Research Council under the European Union’s Seventh Framework Programme. This article is based on his presentation at AIIA NSW titled “Athlete Migration and the Sports Industry in the Neoliberal Age” on 12 June. This article is published under a Creative Commons Licence and may be republished with attribution. 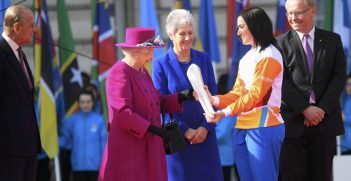 The image is provided by Mark Hann to Australian Outlook. 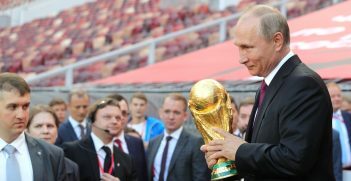 As the 2018 World Cup kicks off this week in Russia, manifestations of ongoing political tension raise the issue of whether a mega-sporting event can be removed from the political, social and cultural imperatives that globalisation has brought. 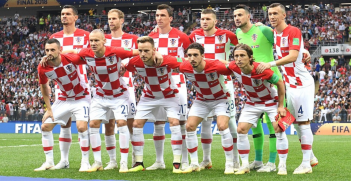 Croatia showed how a country with a population smaller than Melbourne could use the FIFA World Cup to get the world to listen to its brand.